Gift giving has never been easier! 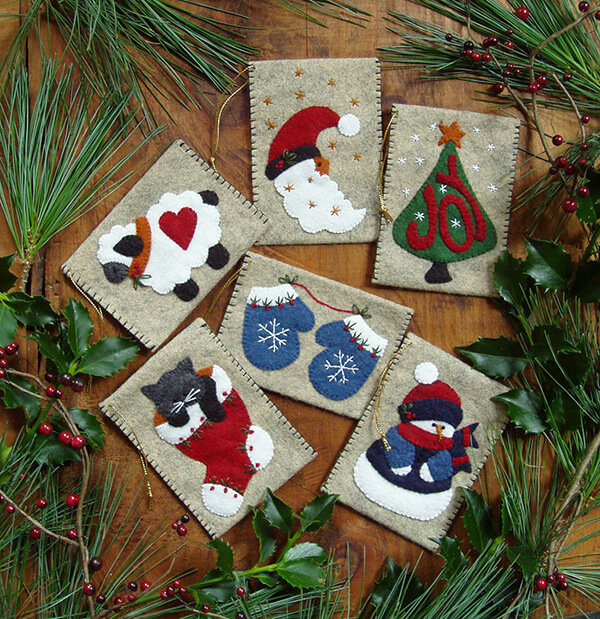 Delightful ornament bags are just the right size for gift cards or other treasures of your choice. Each envelope-style ornament bag has a different decoration on the front and fastens on the back with an old-fashioned figure-eight closure. Design motifs are a snowman, Santa, sheep, tree, pair of mittens, and a kitten in a stocking. Completely charming! Finished size of bags is approximately 3in x 4in.